Sister of murdered woman speaks out 42 years after brutal death. The sister of a young woman slain in a brutal and unsolved murder 42 years ago is convinced she was a victim of the Yorkshire Ripper. Married Gloria Booth was 29 when she was found strangled on June 13, 1971 her near-naked body was dumped on a recreation ground in Ruislip, London. At the time, detectives did not link the murder to Peter Sutcliffe. But Gloria’s sister Elsie Cowen, 62, believes the horrific injuries she suffered bore all the hallmarks of a Ripper killing. Elsie, of Gateshead, has demanded a fresh investigation after a recently-released pathologist’s report revealed the true extent of her sister’s shocking injuries. In her first interview since Gloria’s murder four decades ago, Elsie said: “I am convinced that the Ripper did this. Reading in the pathologist’s report the similarities between her death and how Peter Sutcliffe killed his victims, it all makes sense. She revealed her sister’s murder had devastated the loving family in which they grew up. Elsie said her sister had moved to live with an aunt in London when she was 17 but regularly visited her mother, Mary Noble, in Gateshead. Elsie’s son-in-law Daniel Young, 30, called for the Metropolitan Police to release the 1971 pathologist’s report after a retired detective re-investigated the case. Chris Clark, 68, a former intelligence officer, has spent three years investigating 17 murders he is convinced were committed by the Yorkshire Ripper. His work charts the serial killer’s movements over 11 years from 1968 to 1979. All the unsolved murders have a similar modus operandi to the 13 which Sutcliffe admitted after being captured in 1981. In Gloria’s case, two bruises and mark on her neck point to use of nylon knotted rope, which was used by the serial killer, and which was in his possession when he was finally arrested. 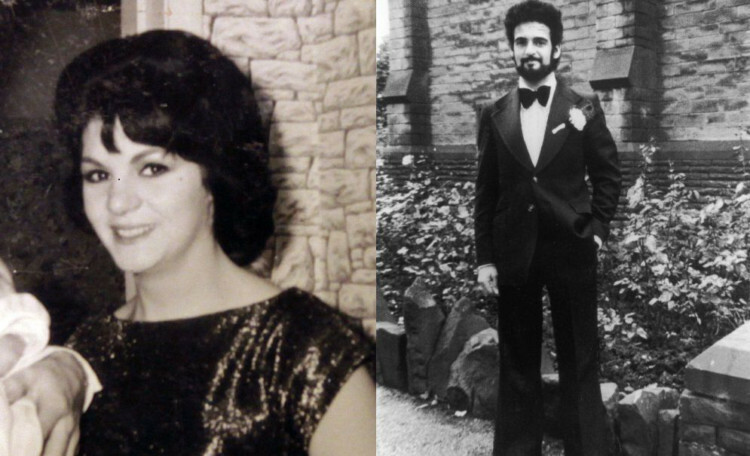 Sutcliffe’s wife-to-be, Sonia, was training to be a teacher in London at the time of Gloria’s murder. He lived in London for a while and visited her while she stayed with her sister Marianne, just six miles away. Traces of brick dust and oil were found on Gloria’s mutilated body, leading police investigating at the time to believe she had been murdered in a garage. Chris said Sutcliffe was working as a mechanic at the time and would regularly have been wearing dirty overalls around the time Gloria was murdered. The brutal nature of her killing also points to the Ripper, the ex-cop said. Police carrying out door-to-door enquiries after the murder were told to look for a man with a gap in his teeth similar to Sutcliffe’s after bite marks were found on Gloria’s body. Her clothes had been removed, apart from a blouse and bra left in disarray and she was discovered on top of a bramble bush. Elsie remembers vividly the day police informed her mother of Gloria’s murder. Elsie said she didn’t know the full extent of the brutality used by her sister’s killer until receiving the pathologist’s report years later. She said: “I hadn’t realised how bad the murder had been. The things he had done to her were horrific. The years have gone by and you think they are never going to get anybody for it. During a five-year reign of terror, Sutcliffe bludgeoned and hacked to death at least 13 women and attempted to murder seven more. The psychopath was one of the most prolific serial killers Britain has ever seen. He stalked the streets, hunting girls to mutilate and murder. But in January 1981 the net closed in on Sutcliffe. He was quizzed by police who found him in a car with a prostitute in Sheffield. The serial killer asked to go to the toilet but was discovered hiding a bloodstained hammer and knife. Two days after being arrested, Sutcliffe confessed. The Yorkshire Ripper was jailed for life in May 1981 on 13 counts of murder and seven attempted murders.